To check our actual offers in Dubai, please use the white form above. Just enter the desired dates, time and pick-up/return location. The most recent car booking in Dubai has been made on our website 4444 minutes ago.. In Dubai, we offer for rental 11+ car categories from 185+ rental suppliers. OrangeSmile provides one of the lowest rental prices on the worldwide market. You can save on your car hire in Dubai even more: (1) by renting your car purely at an airport with the pick-up/drop-off at daytime; (2) by keeping the pick-up and return at exactly the same rental location in Dubai; and (3) since rental prices in Emirates are computed based on 24-hour interval, try to match this period and return your car just before your last 24-hour period expires. Additional saving can be achieved by making your reservation few months in advance. Rental rates in Dubai increase as the rental date is approaching. To avoid financial risks in case of an accident or a theft in Emirates, we advise to order an insurance package with the full franchise coverage (Zero Excess). You can do it directly at the rental desk in Dubai, or during your booking time on our website. Before visiting your rental office, prepare all the required papers that are specified in your voucher, plus, a printed map of Dubai. Pile the documents together to act quickly at the rental desk during pick-up. Do not forget to examine the car conditions prior to leaving the rental parking in Dubai: wheels, windows and chassis for scratches and other defects. Check against your rental document whether all the defects are already specified. Rental offices in Dubai are sometimes strict on delays in car return, therefore, always try to bring the car back to the rental office at the specified time. 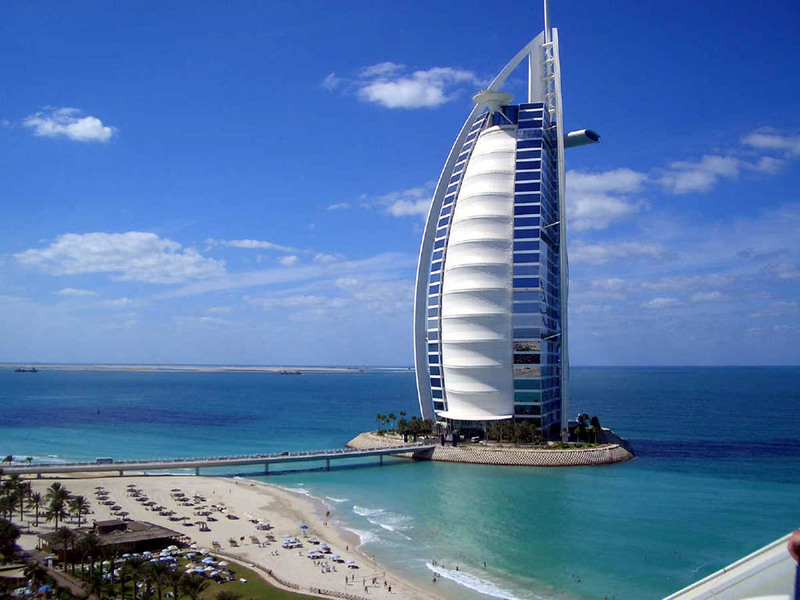 Explore Dubai and Emirates to the maximum, having your rental car as your friend always near! Dubai is home to world-famous shopping centers. Mall of the Emirates is one of the largest in the Middle East. Among the hundreds of its shops are pavilions of the most diverse specifics and price categories. Here, are found shops of clothes and accessories for very wealthy customers, offering things of elite brands. The choice of shops of the average price category is also very large. Electronics and children's toys stores are especially worth noting. Dubai Mall is known to be the world's largest trading center. It takes a whole day to bypass all the shopping galleries. And not less than a week is required to study the shops carefully. The shopping center is attractive not only for its shops, but for grandiose design, as well. There is a huge artificial waterfall, many beautiful recreation areas with fountains and living plants, as well as giant fish bowls. Gastronomic pavilions over there are worth visiting, as well. They sell wonderful chocolate, confectionery and other national products. Those with a sweet tooth come to this mall to just enjoy their favorite cakes and pies at local cafes. Dubai Gold Market is a world-class attraction. Here, among hundreds of trade counters and pavilions, you can find many exclusive jewelry of yellow, pink and white gold. The market offers a large choice of jewelry with precious stones, which are several times cheaper than in European countries.